Since the end of the 1980's, under the impetus of Philippe Drouhin, the Domaine Drouhin Vaudon has embraced biological and biodynamic cultivation. 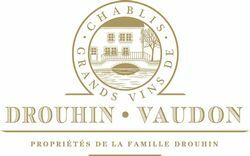 As of today, the Domaine Drouhin Vaudon is the largest estate in Chablis entirely given over to this kind of cultivation. This type of cultivation was applied to the whole Domaine as of 1998, thanks to the competence of Denis Mery and his whole team. The principal aim of the biological approach is to have a global approach which would limit as much as possible the use of chemicals or products such as sulfur or copper. - for instance, typhlodromes (tiny mites acting as biological control agents) are able to keep the level of yellow or red spiders so low that these insects are no longer a cause for worry. - Grass growing between the rows of vines as well as in the bushes nearby offers a natural reservoir for this useful biodiversity. - In the final analysis, the soil (our terroir) remains our most important asset: it must be nourished, protected, pampered. Compost made from organic matter (vegetal and animal) replaces the fertilizers of old. Plowing replaces weed-killers. Letting vineyards lie fallow for a few years, as well as a judicious selection of vine-stocks, replace the kind of chemical disinfection that was done before planting. Around the same time (starting in 1998), biodynamic cultivation was tested, at first on 4 hectares (10 acres) of the estate. This cultivation was then progressively enlarged to the entire Domaine. Biodynamic cultivation can only exist if biological cultivation is in place. It was Rudolf Steiner (the founder of this movement) who, after observing the living world around him and basing himself on the works of other scientists, developed his interpretation of the way our organic world functions. •	The use of biological preparations added to the composts (two of these, numbered 500 and 501, being used on soil or plants). The preparations, made of cow manure, oak bark, pure silica and various plants, are meant to transmit impulses and favor natural processes in the vine and the soil. •	The use of various steeped or soaked medicinal plants (such as horsetail, nettle or comfrey) facilitates a more direct action on the plant, whether it stimulates it, helps it to create its own defense or simply guide it in its development. •	The observance (as much as possible) of the natural rhythms imparted by our solar system to perform certain tasks. The idea here is to move in harmony with these rhythms rather than thwarting them. The Drouhin family is constantly searching for new ways to limit the imprint of man on nature, while maintaining a delicate balance between the two.